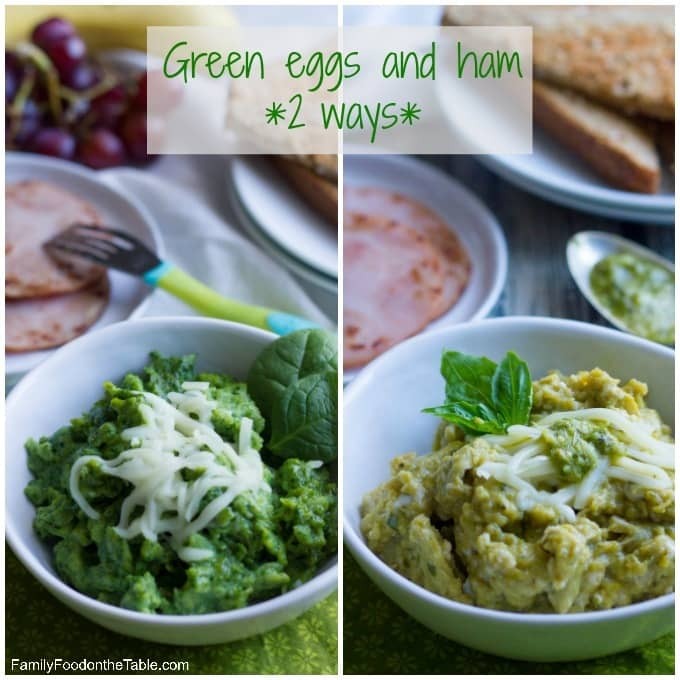 A fun twist on breakfast, these (all natural) green eggs and ham can be made two different ways! Happy Friday friends! I hope you’re all been having a good week. I’ve been baking and roasting and broiling up a storm now that my new oven is in and couldn’t be happier. That was a long couple of weeks without one! So what’s with the crazy eggs? 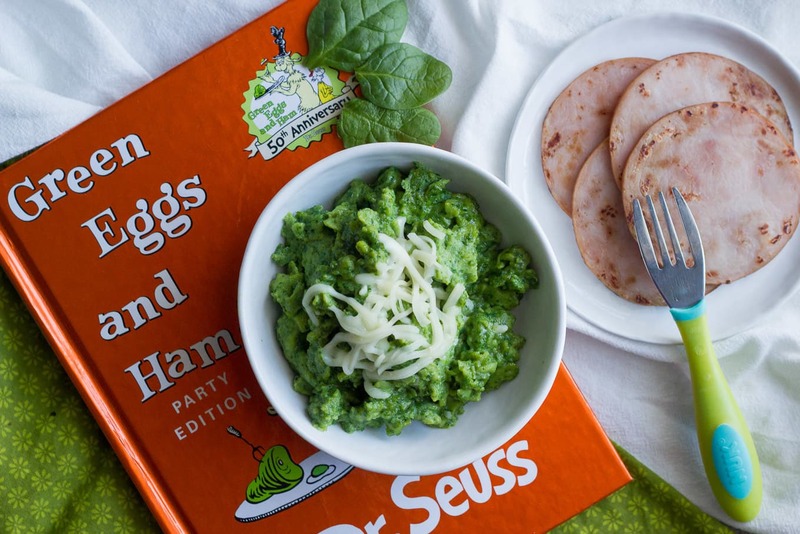 Well, we’ve got Dr. Seuss’ birthday coming up (March 2) and St. Patrick’s Day in March as well, so I wanted to arm you with not one, but two different ways to make green eggs and ham. My kiddos love eggs. I make them cheesy scrambled eggs every Saturday morning. Sometimes we vary it a bit or serve them differently, but they’ve come to expect this “special” breakfast every weekend. There was a time when I had to make 6 eggs for just the two of them (they’re 4 and 2, so that’s pretty impressive). And for holidays and special occasions, I like to make their food a little more fun and festive. I’m not the most creative person, but I can manage something like green eggs. Method 1: Mix pesto into the (uncooked) eggs and beat it all together, then scramble the eggs as you normally would. 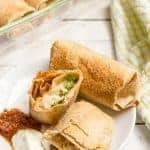 Top with mozzarella cheese and serve! 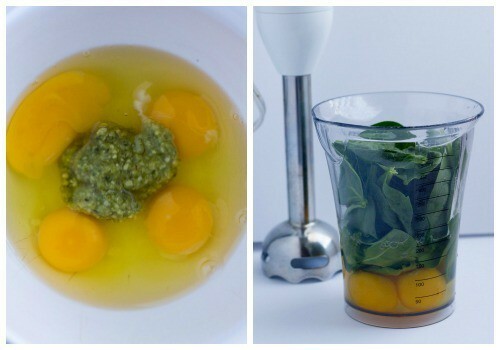 Method 2: Blend the eggs and fresh spinach in a blender (I use my trusty hand/immersion blender). 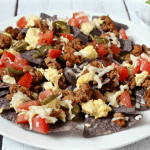 Add some cheddar or mozzarella cheese and serve! Whichever way you try them, and whether or not you have kids, I hope you celebrate with some green eggs and ham soon. Just cause. 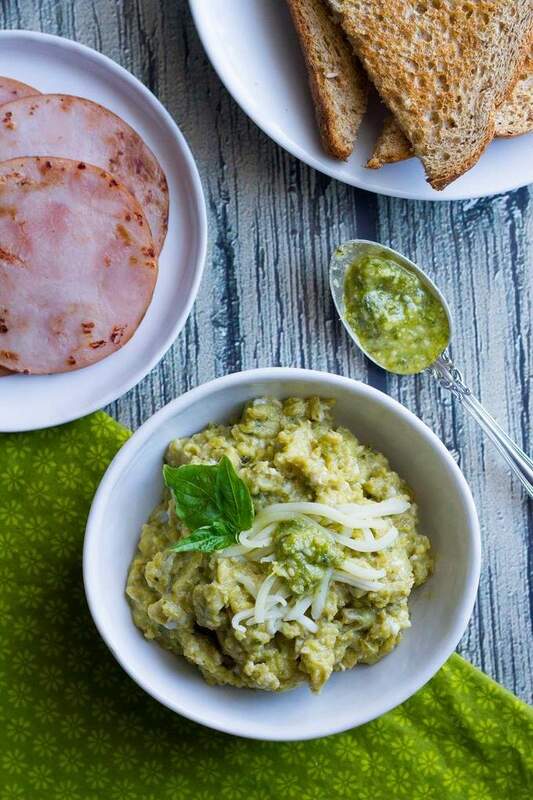 A fun twist on breakfast, these green eggs and ham can be made two different ways! 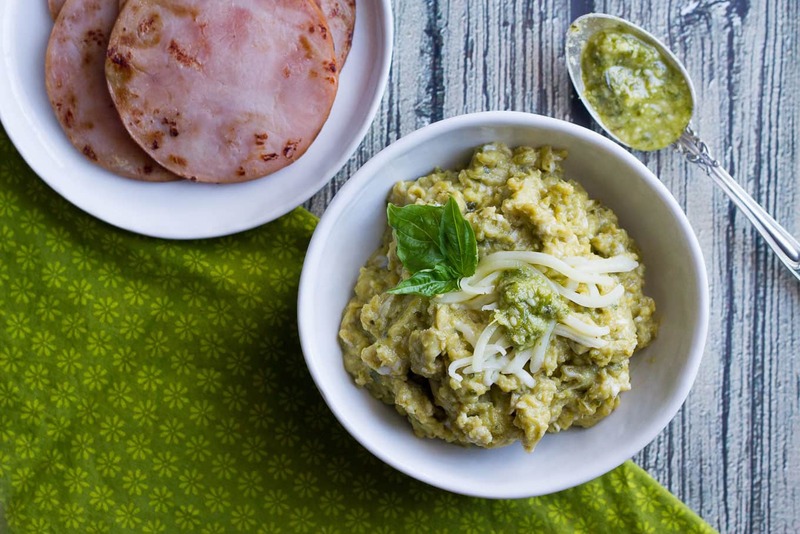 Scramble the eggs and pesto in a medium bowl until well mixed. Heat a skillet over medium-low heat and spray with cooking spray. Add the egg mixture and cook, stirring occasionally, until eggs are cooked through and fluffy. Season to taste with salt and pepper and serve with mozzarella cheese (if desired). 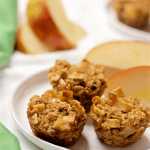 Season to taste with salt and pepper and serve with mozzarella or cheddar cheese (if desired). Heat a small pan over medium-high heat. Add the Canadian bacon slices and sear 1-2 minutes per side, until browned in spots and warmed through. 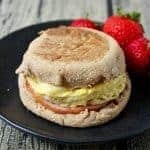 Serve your eggs with Canadian bacon, whole wheat toast and fresh fruit. Enjoy! If you don't want to use a blender for the eggs and spinach, you can finely chop the spinach leaves and add them to the eggs in the pan while cooking. This is so new and interesting for me Kathryn! Absolutely fantastic! Fun! I’ve never had green eggs before but I’ll give the spinach version a go no problem at all. Adina, that’s great yours love pesto! I’m still working on my little ones. Will keep trying 🙂 Hope they love these fun eggs! 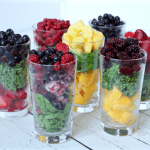 Kathryn, this is such a fun idea! I am making this for my kids for sure! It is so fun 🙂 And I’d love to know what they think Kim! Looks a lot better than mine did! 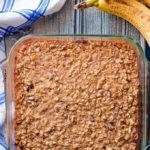 Would love to have you share on the “What’s for Dinner” linky! I love that you ‘colored’ the eggs naturally. You are speaking my language! And pesto? YUM! Yes, by the spoon full for sure. I saw this on instagram last week, but my crazy blonde self had no idea it was a post! I’m slow like that. 😉 Love these green eggs and ham! 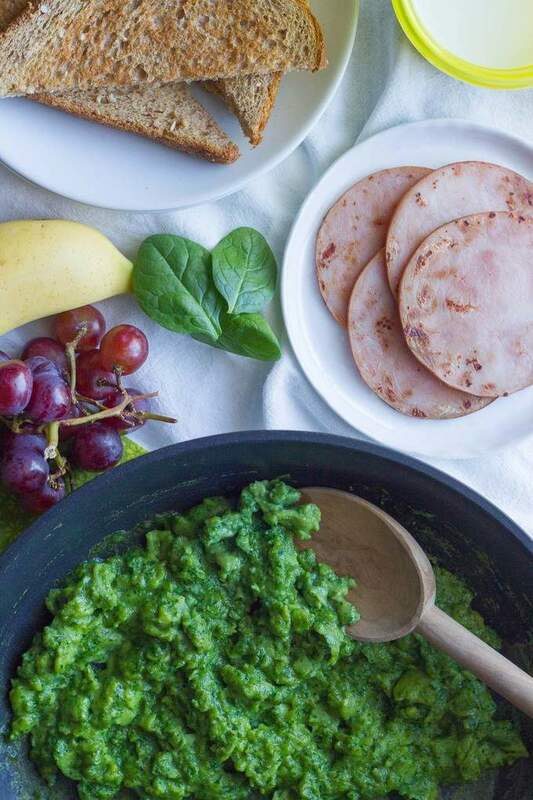 I don’t recall the ham being green either, and I don’t think it should be… that just seems ew. On the other hand, eggs being green? YES! Love both your methods for turning eggs green, Kathryn! 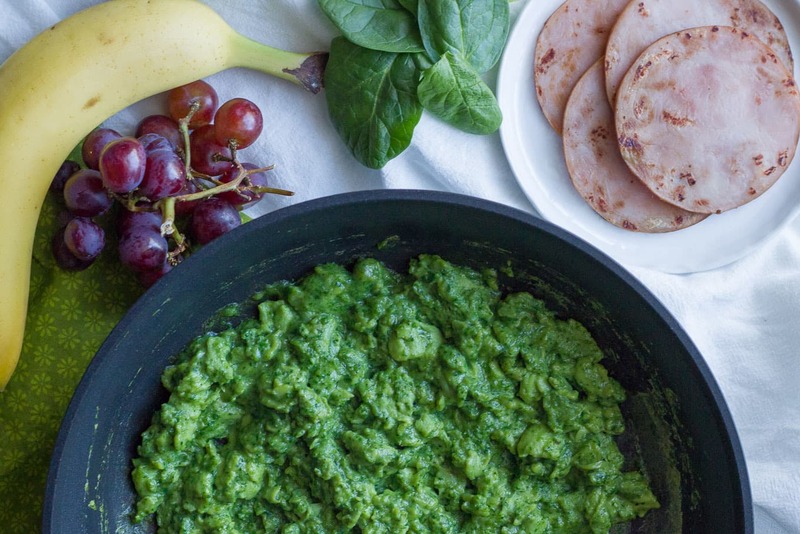 Totally doing the pesto addition, because I’m with you and could eat pesto by the gallon! This is such a cute dish! Cheers, girlfriend!